The Spring 2019 Career Fair is February 13th! Want to impress the employers and show up prepared? 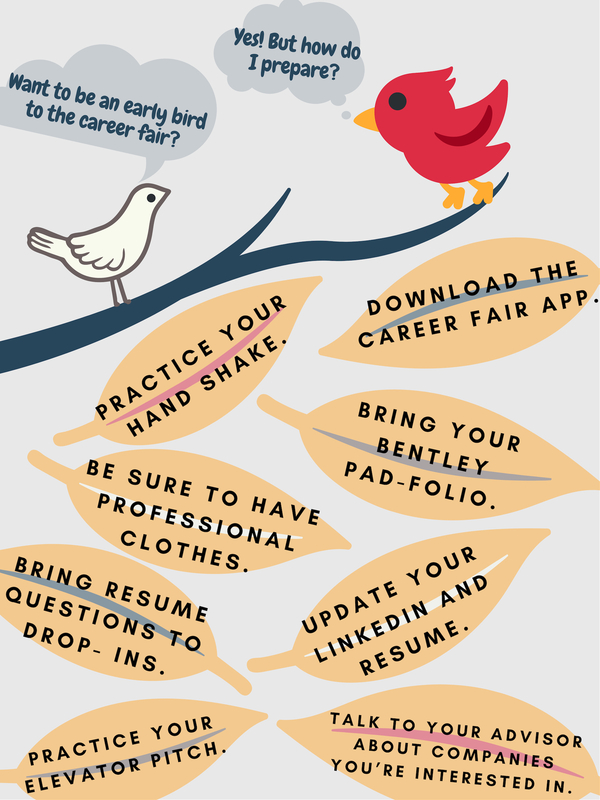 Read this Early Bird to the Career Fair infographic for helpful tips and tricks!